By buying this product you can collect up to 41 loyalty points. Your cart will total 41 points that can be converted into a voucher of $8.20.. Click to see how to use this. 1.This wig hair was processed by 100% Chinese Virgin hair, which means the hair with cuticle, root and tip run in the same direction. 2. 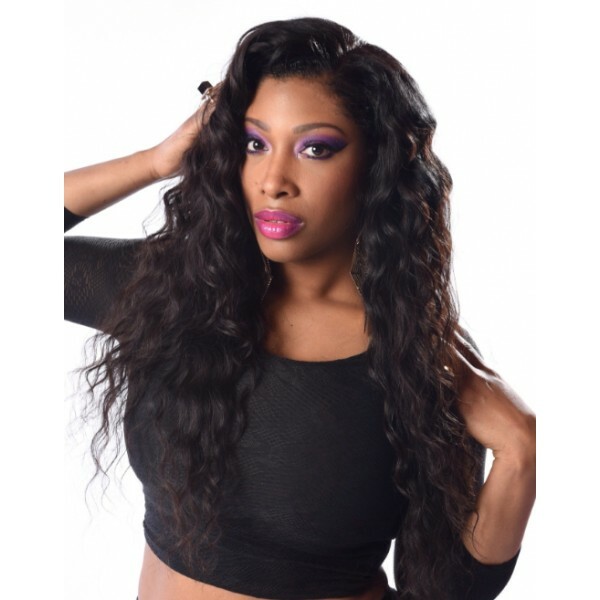 This deep wave hairstyle is popular wavy hairstyle, abosultely mimic Afrcan American. Very natural looking! 3. It is complete human-made wig. 4. Tangle free; Minimum shedding; Bady hair and bleached knots in perimeter! (if u prefer one of them, pls mark it in comment box ), no need to glue/sew. 7. 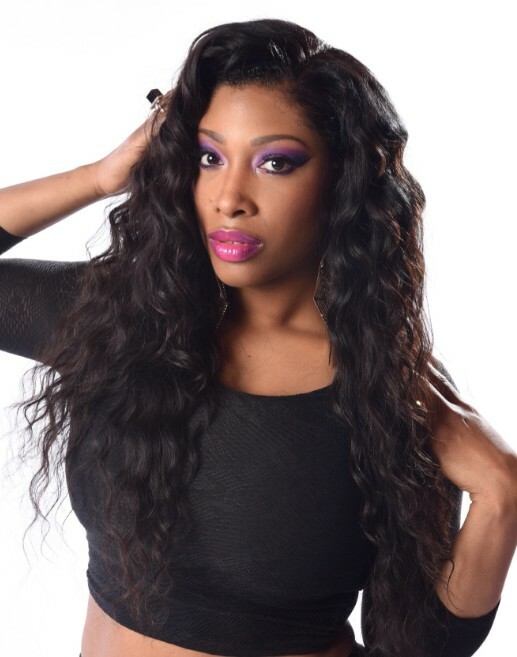 This hair can be curled, straightened, (pls keep temperature under 200 degree) and professionally colored. 8. This item might need around 4 days to prepare before shipment. 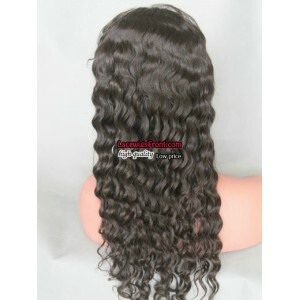 Best Chinese virgin full lace wigs,not processed. you can curl it,dye it. The back of the wig, you will love it ! (if u prefer one of them, pls mark it in comment box ), no need to glue. How to Choose Cap Size? 1. 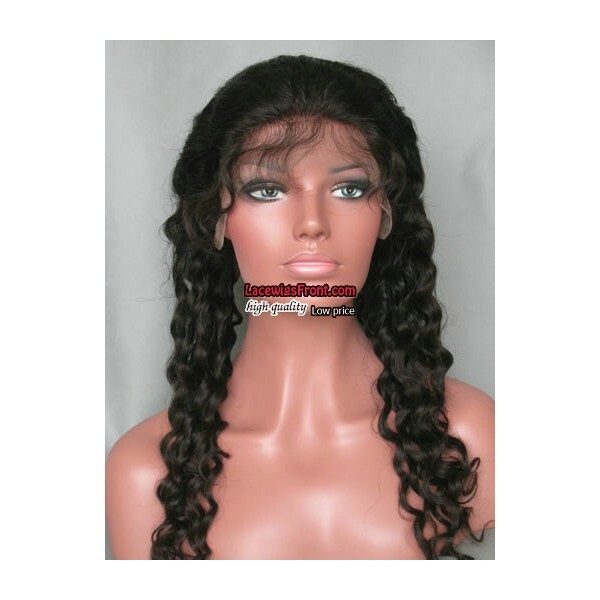 You can use knot sealer to seal your knots on the underside of your wig after every washing. u can spray it mixted liquid (coconut oil with water) it will become smooth and gorgeous. 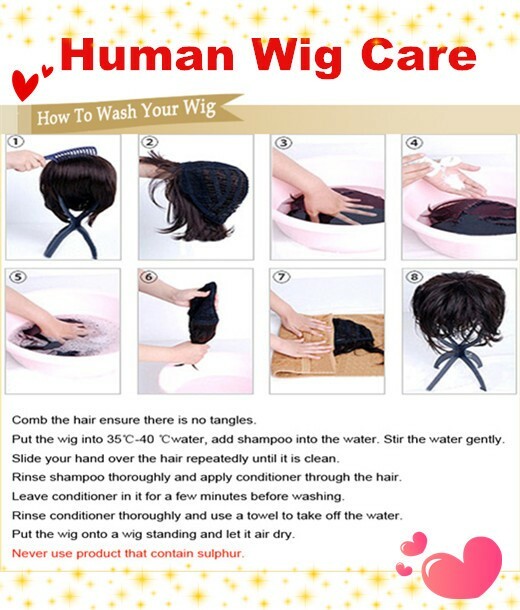 3. when cleaning wig, pls keep water tempearture in 40-50 degree. 5. (best temperature for wig to take in oliver oil and conditioner), 5 minutes for conditioning. !!! : Please use neutral shampoo And spring water or distilled water. Attention please: Don't use Tap water, the tap water filled with many chlorine and chemicals!! 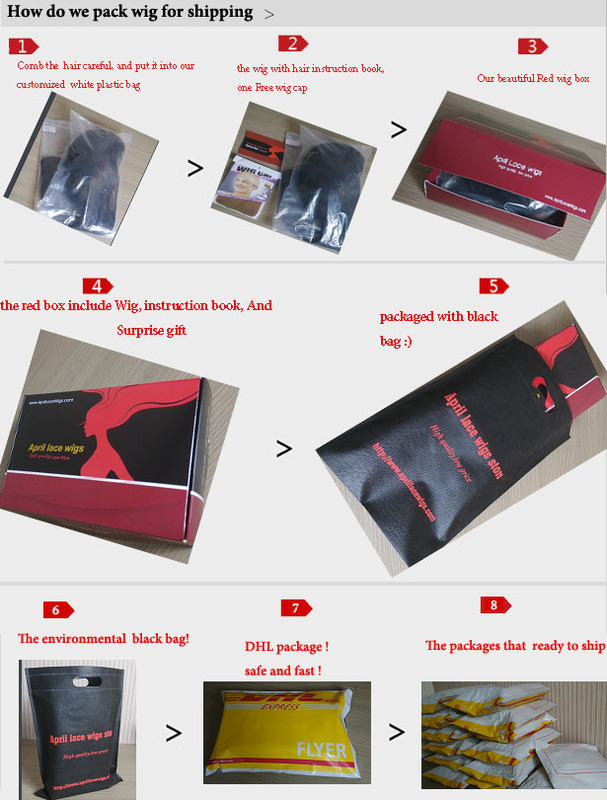 if u want to exchange, pls send us pics of extra lace of wig to our email, and tell us the desired item details. we will do our best to solve ur problem and gurantee 100% customers' satisfaction! 2015-03-24 Shelly .... 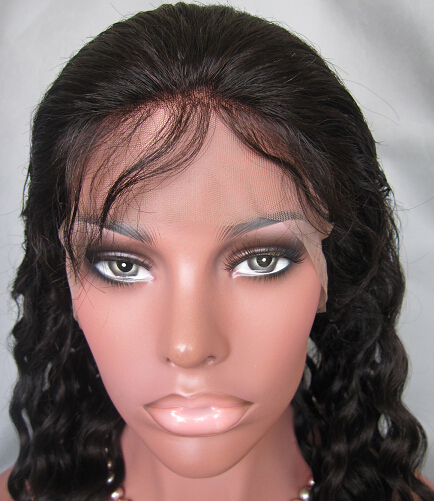 I have purchased several units from April Lace Wigs but this is my favorite wig ever from any wig company. 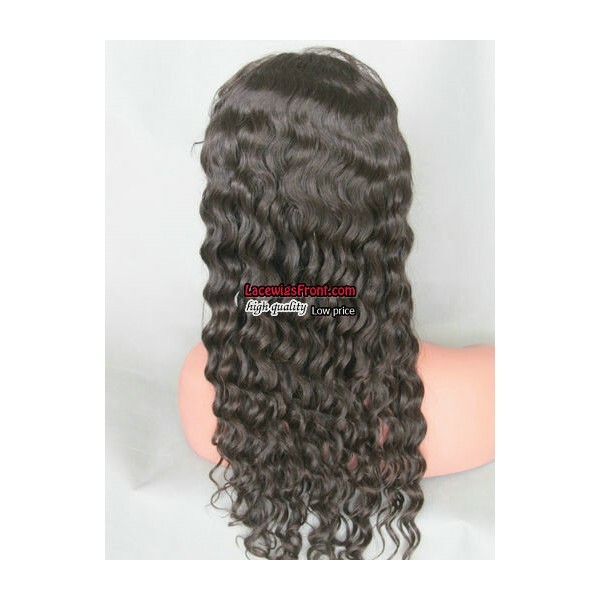 The curl pattern gives tighter smaller curls which mimic African American hair. The density is just right and looks believable. The unit is super soft with very little shedding. I also love the silk top. The hair appears to be coming right out of my scalp. I will be rocking this unit all summer long. My only negative (which is very minor) is the small line of demarkation where the silk top begins. I have been able to easily manage this by blending in some of my own hair. Looooove this unit!!!! 2015-01-23 Jafette .... I purchased this wig last year. My mother loved it so much she wanted one so I obliged. After three weeks of waiting, her wig finally arrived but the curl pattern was completely different. My wig was more 3c/4a curl pattern while hers was more 3a. She was not happy. I hate she wasn't pleased because she only ordered it because she thought it would be exactly like mine. I thought so too. Next time we will send the wig back instead of trying to make it work. I love this company. 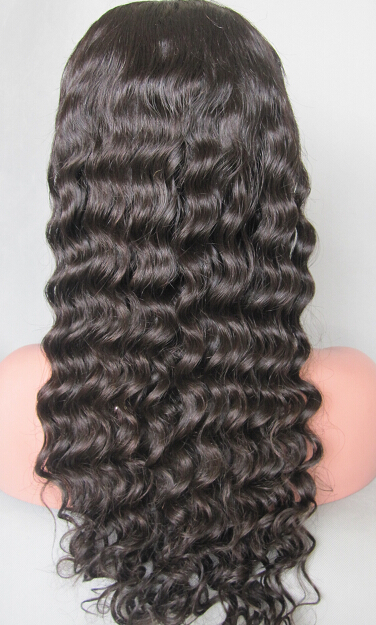 I hope they can find a way to make the curl patterns consistent. Such a disappointment. 2014-10-29 Vera .... 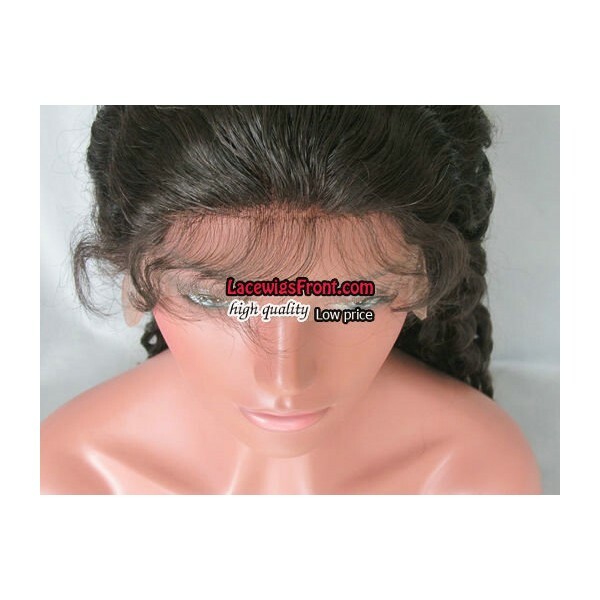 The Lw0067 wig looks more like a jery curl and nothing like the hair the lady is wearing in the youtube video. 2014-10-09 rose .... i love this wig it really looks like black people hair once its relaxed and tonged i dont know how they do it but its great....you can strighten it and then just wet it and all the curls come back. everyone thinks its my hair the knots are bleached and i got the silk top so it looks so real. its real hair i cut a bit and bleached it and it took just fine. 2014-05-24 tamera .... I love this wig. This is by far the best wig I have ever own. I order two other wigs from the company and this one is the best. Minimal shedding and tangled. I've been wearing this wig for 2 months. It's low maintenance and easy to maintain. I use water and mousse to maintain my curls and it works. I wash this unit several times with no problems at all. I can't wait to order this unit again once this one gets old. I hope if lasts for at least 2 years or so. 2013-10-19 Priscilla .... I purchased this unit with silk top on November 18 of 2012 and I have been wearing it every single day since then. That was a great investment and I dont regret it! Now, I have never used any product on the unit and I washed it about 4 times. I only curled it once. I use water on it to refresh it and make the curls look nice. After about 3 months, the hair started tangling in the back and I dont really like it because I have to detangle it all the time. I have been wearing it in a ponytail most of the time to avoid dealing with the tangling in the back. When I go out I let it out. I think the hair is too full for me and I prefer a light to medium density. I got tones of compliments with this unit. Most people who didnt know me thought it was my real hair and the people that know me said it looked very natural. The silk top is key b/c it seems like the hair is coming out of my scalp. Even though the hair tangle in the back, I still recommend it b/c I can always de-tangle them. I can probably use this unit for a long time if I want to but I am here looking for my second purchase. This is a great company and shipping is fast. I recommend them. 2013-05-09 Robbin .... So if you don't want to use glue then the glue less wig is not a good option? 2013-04-02 Polly .... Hair quality is WONDERFUL! It passed the burn test and is real human hair. The lack of tangling or excessive shedding must mean it is virgin. The hair is also very soft. When I first got it, the unit looked so short. When I washed it, it stretched to 18 inches. It was also too curly initially. But when the curls dropped (after the first wash), it looked like nice beach waves. VERY VERY VERY BEAUTIFUL! The density is so perfect. The hairline is so realistic. My only regret is not getting the silk top. Also, the unit did not come with bleached knots. I had to do it myself (I was NOT happy about that) and seal the knots with Got2B glued. I had to sew the unit down since it was full lace. I never use glue and was told that the glueless is still too loose. I definitely recommend this company. The customer service is excellent. The product is top of the line. Just make sure you are very specific and detailed about your order preferences. Since is costs $50 or more to return or exchange a wig, make damn sure you get exactly what you want. Check out my YouTube video! 2012-10-24 Patrice .... Saw 2 youtube videos on same unit. Sometimes it has tight curls like this one, and other times the curls are loose.